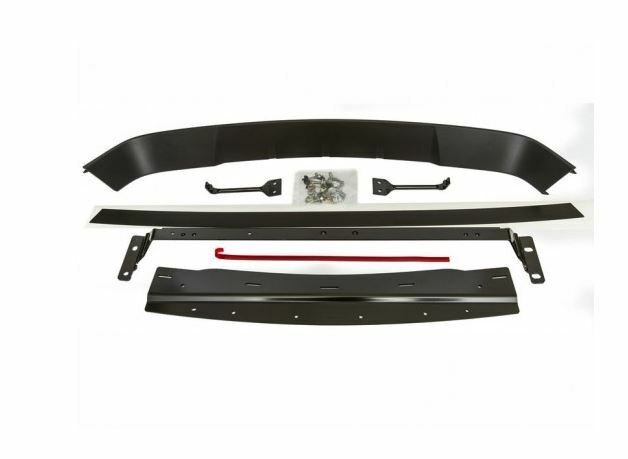 Add style and more airflow to your 2013-2014 Mustang with this Roush Performance high flow lower fascia opening. This directly replaces the stock lower grille and is made from injection molded TPO plastic and is finished in a black stipple for an OEM appearance. It's designed to be durable, flexible, and lightweight, along with being a perfect fit because of the CAD design using original manufacturers' data. The wide, open mouth design allows for airflow that's unimpeded and increases airflow by 15% to the radiator. Installation should take about 3 hours.